This is a relatively new feast but one which has an old history. Pius XII officially brought in this feast in 1954 but as far back as the fourth century, St Ephrem referred to Our Lady as Queen. Later Church fathers and doctors continued to use the title. 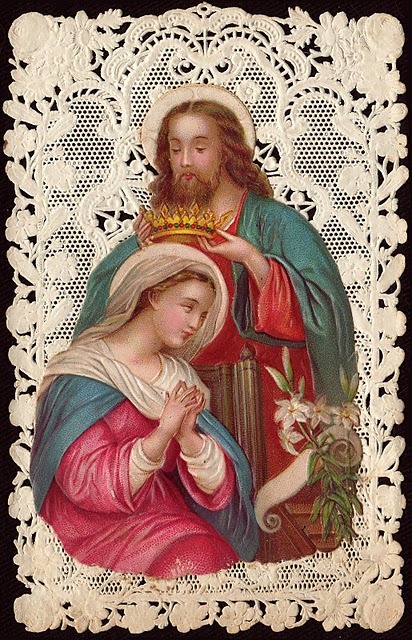 Hymns of the 11th to 13th centuries address Mary as queen: “Hail, Holy Queen,” “Hail, Queen of Heaven,” “Queen of Heaven.” The Dominican rosary and the Franciscan crown as well as numerous invocations in Mary’s litany celebrate her queenship. There is also something very consoling for us as human beings that Mary is Queen of heaven. It raises the dignity of our being to a whole new level; one of ours is Queen of the Angels and Saints. In an age when all over the world human life is being treated as totally dispensable the Church proclaims that Mary, a human, is Queen of Heaven. At the time when Pius XII set up this feast the world had just come out of WWII and the horrors that it entailed; the holocaust of abortion was not yet fully upon the West. You can see the providence of God at work when you think that as society has begun to more and more demean life, the Church, which speaks for God, is reaffirming the dignity of the person. I often think that when we meet God and see how many times he tried to tell us things and we would not listen, then humanity shall really hang its head in shame. O, Mary, Queen of Heaven, pray for us, who have recourse to thee!